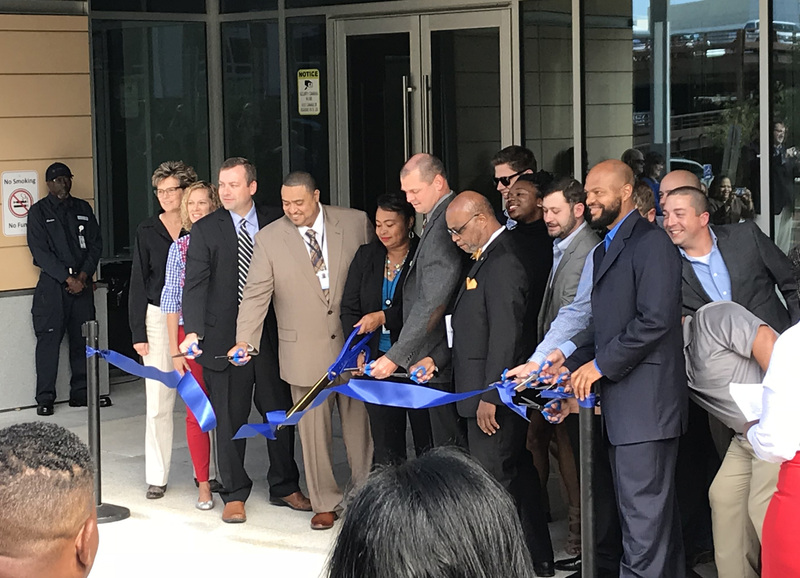 October 15, 2018 – Falcon attended the Grand Opening Ceremony for the newly renovated Admin Building II in downtown Durham. The new facility will consolidate and house several administrative departments for Durham County including the Register of Deeds, Tax Administration, and Economic Development. The building also houses a Radio Studio for the “In Touch with Durham County Government Show” as well as a full-size gym with a variety of exercise equipment and a designated room for classes. Large glass windows make for an abundance of natural light, along with beautiful views of downtown Durham. The ceremony, open to the public, began with welcoming remarks from the Board of County Commissioners Chair, Wendy Jacobs, followed by a Presentation of the Colors and the National Anthem. Additional remarks were given by County Manager, Wendell M. Davis; Deputy Director of Engineering and Environmental Services, Peri Manns; Kevin Montgomery of O’Brien Atkins; Greg Tadd of Whiting-Turner; and Terrence Holt of Holt Brothers. Following remarks, a ribbon cutting was held and tours of the building were offered to guests. Falcon provided materials testing and special inspections throughout construction. 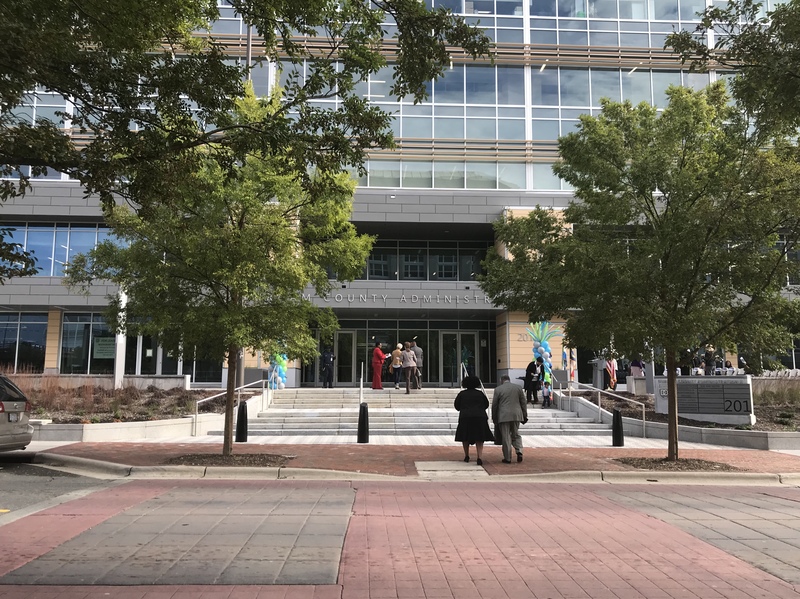 We are proud to be a part of such a transformational building, enhancing the lives of government staff, residents, and visitors of downtown Durham.